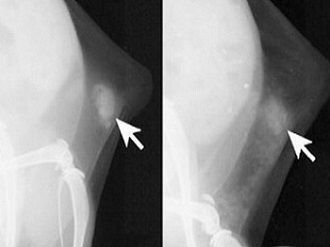 Many constraints exist when it comes to implementing breast screening in Brazil, according to Dr. Fabiola Kestelman, a breast radiologist from Rio de Janeiro, who will be speaking at the EUSOBI annual scientific meeting in London next month. While national guidelines recommend screening between 50 and 69 years of age, every two years, there is no nationally organised programme, only individual municipal initiatives and local programmes set up by nongovernment organisations. The difference between public and private systems and lack of financial resources means that treatment may be delayed. HealthManagement.org caught up with Dr. Kestelman in an email interview to find out more about the current situation. What are the particular challenges for implementing breast screening in Brazil? The constraints are numerous, from difficulties obtaining information about population demographics to financial resources for implementation of screening and subsequent treatment of patients with cancer. Even in the programmes that do exist there is no active search for women nor control and data management, which characterise organised screening. The lack of demographic data impacts the search for woman who should be screened, and limits the ability to identify and locate patients diagnosed with mammographic abnormalities in need of other intervention, including cancer treatment. Regarding financial resources, there is a significant deficit of radiotherapy and chemotherapy in the country, not only in the poorest states, but also in large, wealthier cities. The delay in treatment limits the benefits of mammographic screening. What screening technology is available in Brazil? In Brazil there are two types of healthcare financing: one provided by the government serves 80% of the population. Private health insurance companies cover the remaining 20%. Conditions in these two systems are vastly different. In private services the patients have access to almost all modern technologies such as digital mammography (CR in many cases), ultrasound and MRI. Tomosynthesis is offered to a small group of the population and is not covered by health insurance companies. In the public health system conventional mammography is still quite common. These patients have access to ultrasound, but MRI and tomosynthesis are not widely implemented. 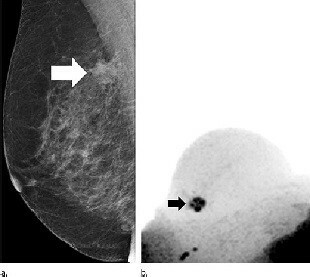 Women with dense breasts are not subject to a different screening programme. Because ultrasonography is an operator-dependent examination, there are no homogeneous quality standards followed throughout the country for it to be used as a screening method. Is information about the importance of early detection of breast cancer readily available to women in Brazil? government, medical societies and NGOs. The disadvantages are not always discussed, either by the media or by the doctors who attend the women. There is also disagreement about the age of onset for mammographic screening between the government guidelines, which recommend mammography from 50 years of age, and medical societies that suggest beginning screening at age 40.